In America, the beloved cartoon character Mickey Mouse has had nearly a century of shows, books, films, amusement parks—and now an upcoming exhibition—to make a lasting impression across generations of children. But in the U.S.S.R., the national treasure Cheburashka, a small, brown, furry creature of unknown origin, was only featured in one book and four short films—a total of 70 minutes over 14 years. 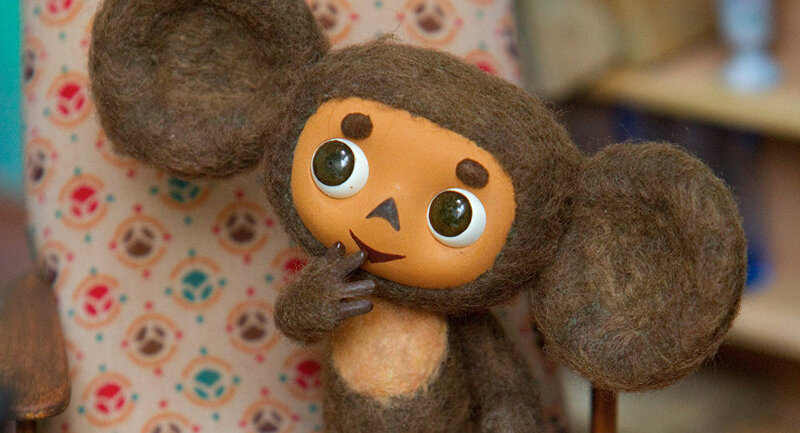 Despite his small footprint, Cheburashka, who was created in 1965 by the recently departed cartoonist Eduard Uspensky, survived the collapse of the Soviet Union and continued to be a beloved icon in Russia—and, over the decades, he became an international icon, as well. The character has starred in far-flung spinoffs and a major motion picture, been present at political protests, and even had a rocket launcher named after him.